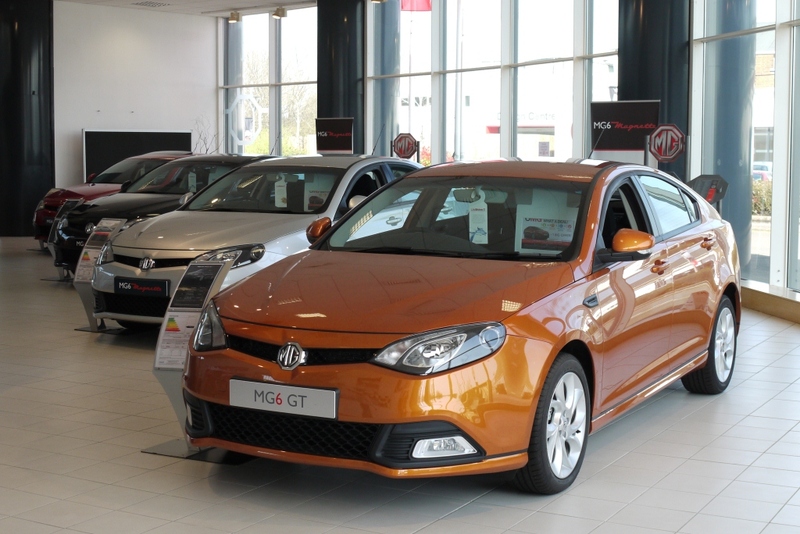 As many of you will have read, MG Motor UK began offering tours of their Longbridge site in mid-March this year, as part of their promotion of the latest MG6. Although members of the Two-Sixties have been privileged to enjoy specially organized visits to Longbridge in the past, this is a new opportunity open to everyone, with tours taking place every week. I took the chance during a recent trip to the UK to join the tour on March 29; these are my impressions of that visit. Tours – which are completely free of charge – take place each Thursday at 1PM and last about two hours. 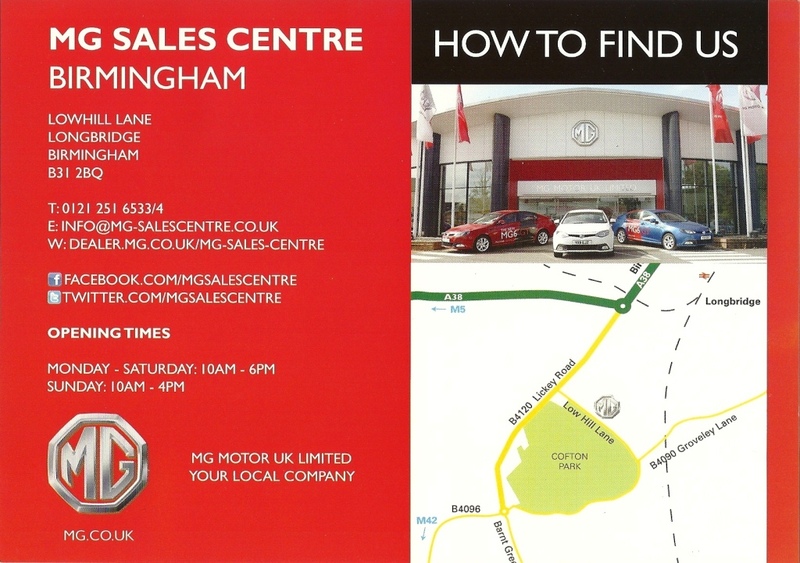 The visits start from the main MG Sales Centre which is clearly signposted on Lowhill Lane in Longbridge, a short distance from Junction 2 of the M42 on the southern side of Birmingham. You can find full details on how to sign up here. You may have to wait a while though … MG has been overwhelmed by the interest in these tours, with bookings already through to October. Visitors are met in the brand-new Sales Centre with complimentary tea and coffee. On my visit there were about 15-20 participants. The tour begins with a short PowerPoint presentation in the adjoining Lecture Theatre, which covers the history of the Longbridge site and the Austin and MG marques. This provides a context for the rest of the tour and also sets the tone for the day. Unusually the visits are hosted not by specialist tour guides or sales staff, but by senior managers from MG. On March 29 our host, Steven Bunn, was a longtime MG Rover employee who had previously managed their paint shops. Ian Pogson, the engineering manager who has been a good friend to the Two-Sixties (and who was still wearing his 260s lanyard! ), was also on the tour getting ready to lead future visits himself. Another participant was the head of the engine plant in China where the new diesel engine will be built (but I’m getting ahead of myself there!). What came through right from the start was the pride which everyone involved with the new MG operation feels: in the manufacturing tradition of the Longbridge site and the MG heritage, but also the fresh start they have been able to make and the new cars they are developing. For any owner of a 260 or MG enthusiast, this was a day to come back to where our cars were built and, just as importantly, to feel good about the future of the marque. Across the road from the Sales Centre Lord Austin’s office has been re-created in its original form, with mementoes from his work at Longbridge and friendships with other motor industry leaders such as Henry Ford. This is very well presented with a short video explaining the significance of all the items on display. The tour then continues through a large lecture theatre showing continuous film footage of the old assembly plants at Longbridge, before coming to the museum. This has a display of about ten cars which have marked the history of the Longbridge plant. Probably closest to our interests are a Golden Jubilee MG TF from 2002 and the five millionth Rover built, a Rover 75 2.5 V6 in a distinctive aubergine hue. Alongside the modern 75 is another 75-badged Rover, a P3 saloon from more than fifty years before. No collection in Longbridge would be complete without a Mini and MG have four on show: one of the first Austin Sevens from 1959, a classic Cooper S and two newer “specials”. The first of these is a high-performance model with a 16v head and BRM-style orange detailing, the other a leather-trimmed “Mini Limo”, equipped with a very early Philips “Carin” navigation system. Two Austin-Healey 3000s complete the exhibit. It’s good to be able to get up close to all the cars, but if I have a criticism, this is perhaps the weakest part of the current tour: the display area is rather cramped and the cars are not really shown off to best advantage. But so much for the past! The next stage of the tour brings the history of MG right up to date, and even beyond! Visiting MG’s Technical Centre was, I think, the highlight for everyone on the tour. A large open-plan building houses many of MG’s 400 UK-based staff who work closely with their Chinese counterparts to develop the next generation of MGs. Just seeing how their engineers work is interesting in itself; many members of the group were fascinated by the high-quality 3D printer which is used to model new components. Right beside the open-plan offices a series of exhibits present the SAIC group and bring alive how development work is carried out. 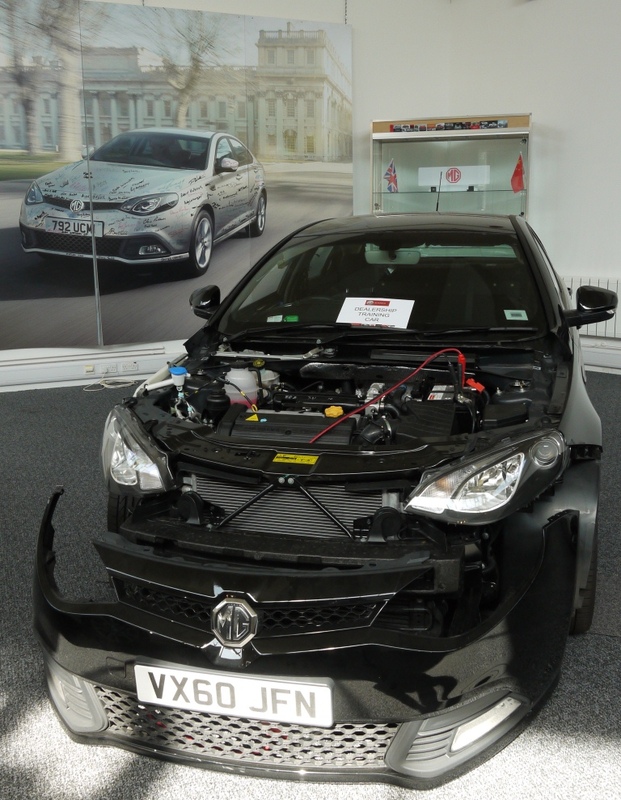 On my visit you could see examples of the 1.8 turbo petrol engine currently fitted to the MG6 and the manual transmission which will be fitted to the new 1.9 litre diesel engine which is due at the end of 2012. Alongside them styling sketches of the forthcoming compact MG3 and a resin model of the medium-sized MG5 (just launched in China) show the modern design language which MG is evolving for its latest models. This is where the calibre of the tour leaders really shines through. 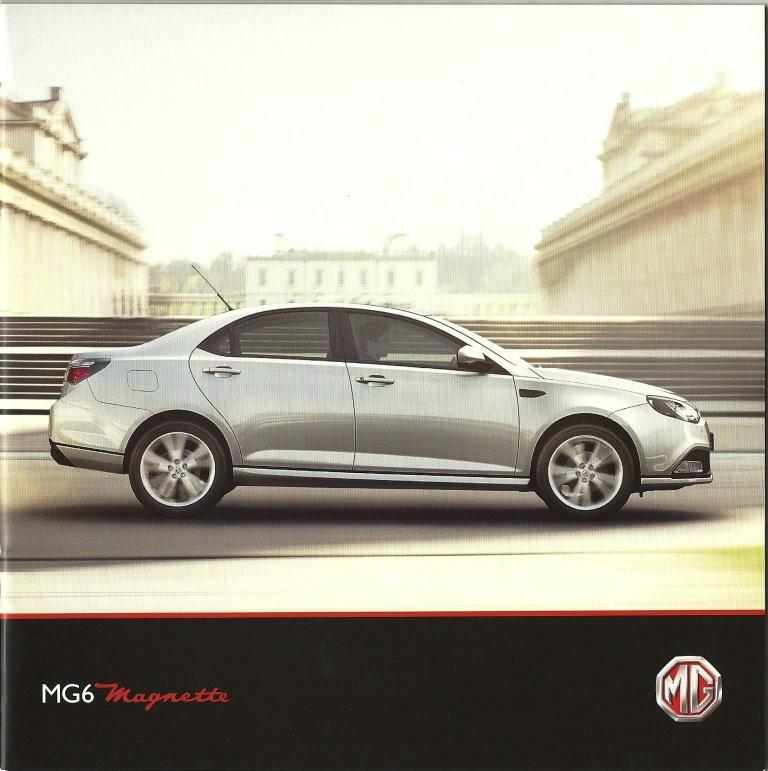 Whether they were describing the organizational structure of MG Motor’s parent company, SAIC, or talking about the development of new styling models or drivetrains, our guides were key members of that effort and could speak as highly qualified insiders. Some of their incidental remarks gave a tantalizing glimpse into working with a Chinese company: for example, that the Chinese typically don’t tow or fit roof racks, so those were design considerations which the European team had to voice. Later this year the tour will go on next to the assembly lines but these were temporarily closed when I visited as MG gears up for the new diesel-engined models which will be key to the company’s success in Europe. To understand just how critical these will be, 90% of cars sold new in the Focus/308/Mégane class in France today are diesel-powered. All the MG staff on the tour were really enthusiastic about this new engine and what it means for their success. For now though the visit concludes in the Sales Centre. This is the best possible opportunity to compare different colours and spec levels for the current MG6 GT and Magnette models. A couple of late-model TFs, including a rare 85th Anniversary version, and a lovely 6-cylinder WA saloon from the 1930s complete the display. Or very nearly … for any 260 owner it was hard not to focus on Brian and Paul Luti’s monstrous black and green ZT 520, which has recently joined the show! Let’s hope that it will soon be accompanied by one of the MG6 racers which MG is running in the BTCC championship this year. Next to the Sales Centre is the dealer training area and Ian Pogson kindly took me in there at the end of the official tour. This is where the dealer technicians are trained up on the new models, with stripped down but still functioning cars showing how everything fits together. 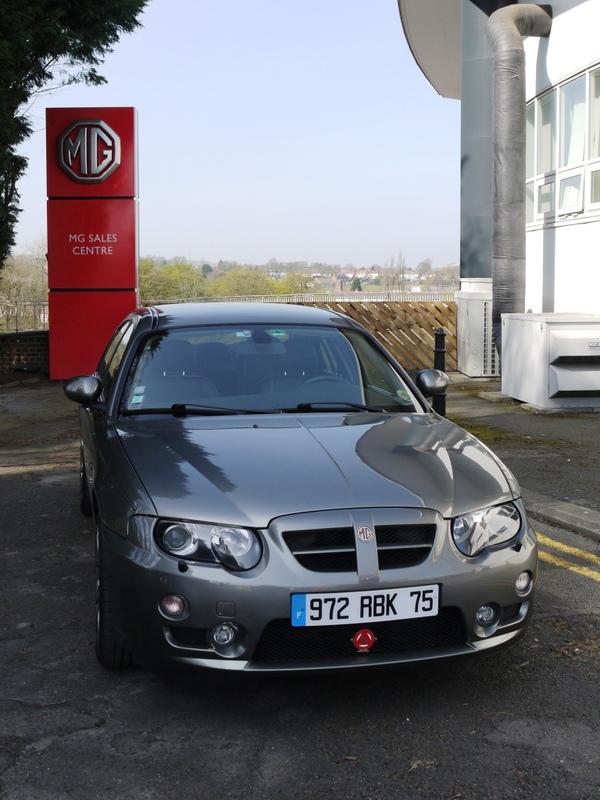 For prospective purchasers of the MG6 it is possible to go on and take a test drive and on the day of my visit a couple of people did so. All visitors come away with a goodie bag of brochures, MG-branded trinkets and a special offer card for visits to many tourist attractions around the UK. The MG6 is getting off to a hesitant start in the UK market so I’m sure all of us wish MG Motor well; I would certainly like to thank Steven Bunn (the tour guide for my visit), Simon Bennett from the Sales Centre and of course Ian Pogson for the warm welcome they extended to me and all the visitors to the site. If like me you have travelled some way to visit Longbridge you may want to take in some other events and places for the MG enthusiast on the same trip. The highlight for me would have to be the Heritage Motor Centre at Gaydon (just off the M40 between Warwick and Banbury). This houses the most important collection of British motor vehicles in the UK; treats for the MG owner include many historic MGs in the new mezzanine sports car gallery, a cutaway MGB GT, the ADO61 and ADO70 sports car prototypes and a stunning orange SV. 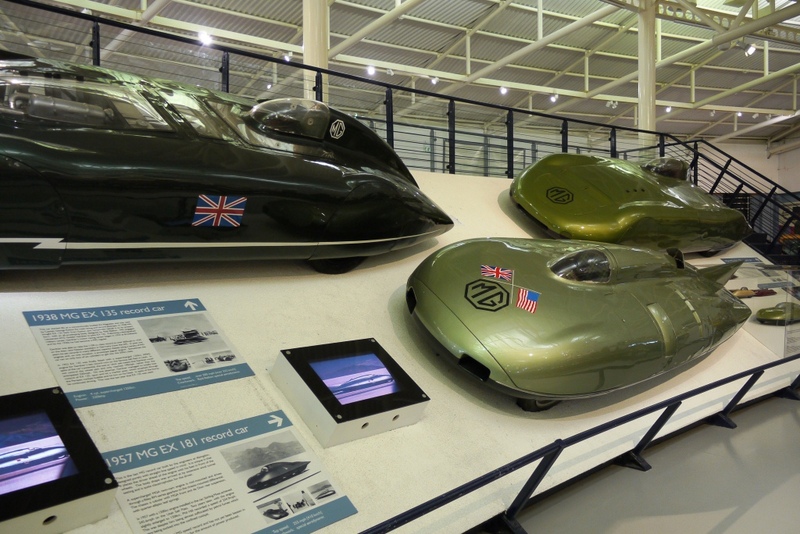 Until 2 September 2012 a special exhibition of Motoring Record Breakers features a dramatic display of three MG EX cars. 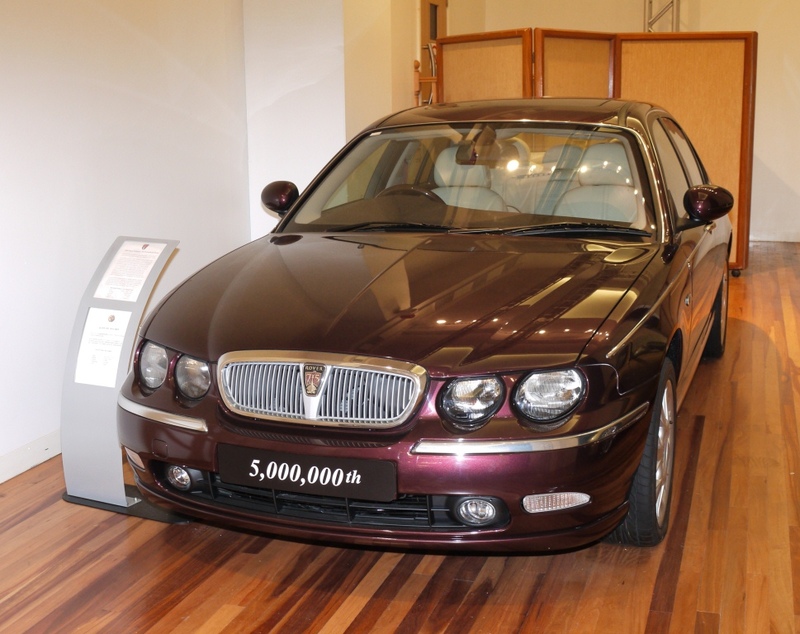 Rover is well represented too, with the first 75 off the production line, the P6-based T4 gas turbine car and one of the Queen’s personal 3.5-litre P5B saloons. Also nearby are the Coventry Transport Museum, which gives a fascinating insight into the motor industry in the Midlands, and – until its closure in September 2012 – the Jaguar Heritage Museum in Browns Lane, Coventry, which is home to some great cars from the company’s sporting past. If you plan on attending the Classic Car Show at the NEC in November or the MG Show and Spares Day at Stoneleigh in February both these are short drives from Longbridge. Great report Julian! Thank you very much for this exciting inside look. Julian, you are too kind. There is so much more to show, but so little time when people like Steve and I are supposed to be working at our regular jobs! It was a pleasure to host someone so appreciative. It’s a V8 thing.